On June 25th AOR Heaven Records will release Bad Habit’s new CD ‘Timeless’. The legendary AOR band Bad Habit formed in Lund, Sweden in 1986 by Hal Marabel and now ex-keyboard player Doc Pat Shannon. They released their first album (mini-album) ‘Young & Innocent’ in 1987 and were actually the first band to get an independently produced music video aired on Swedish national TV. The video was of their first ever single release ‘Need Somebody’.The band have since released 8 albums, the latest of them released in 2008, entitled ‘Above And Beyond’ . 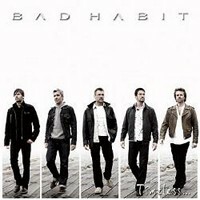 Bad Habit now return with a ‘best of’ album entitled ‘Timeless’, which features a collection of songs from the albums – ‘Young & Innocent’, ‘After Hours’, ‘Revolution’ and ‘Above And Beyond’, as well as two new and previously un-released songs. Tracks 1,2 – previously un-released. Tracks 3,6, 9,14 – taken from the album ‘ After Hours’. Tracks 5, 12, 15 – taken from the album ‘ Above And Beyond’. Tracks 8, 11, 13 – taken from the album ‘Revolution’. Tracks 16 – taken from the album ‘Young & Innocent’.